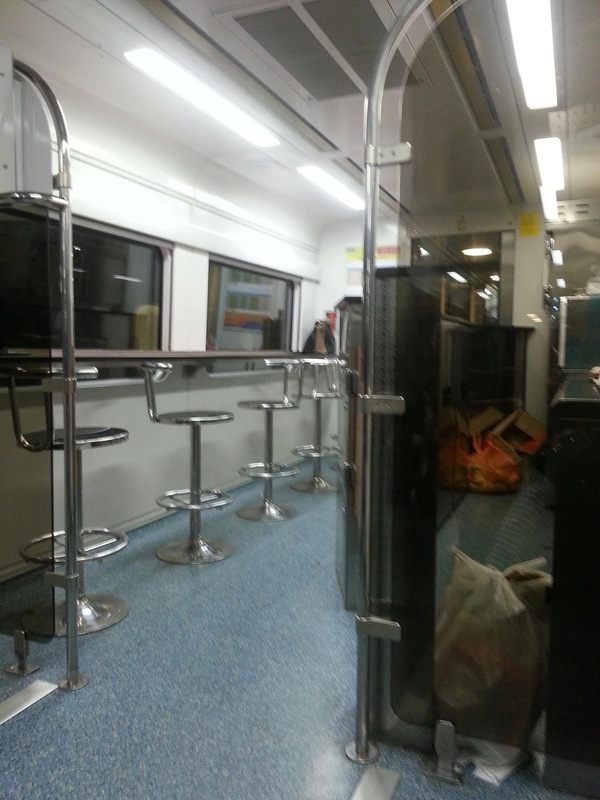 And I'm in the train now on my way back to Ipoh. It's been a super duper busy day with Amber Chia Academy's graduation show. So glad that the show ended perfectly. Happy for those who graduated and wish you guys all the best in your modeling/make-up/photography career! Same coach with cafeteria, my first time. Am thinking to eat or not to eat.lol. Look at my face, a face of less than 4 hrs sleep for 2 days.